You’ll find your maui motorhome easy to drive with power steering and automatic transmission but even if you are an experienced driver, you have to take into account that driving a motorhome is different to driving a car or family sized 4WD. Sign up for our Go By Camper newsletter to receive inspirational travel content and awesome deals, and we'll send you a copy of our Ultimate RV guide! Please enter your first name* Please enter your email address* Yes! I’d love maui and Go By Camper to send me occasional emails with inspirational travel content and subscriber exclusive deals. Required* Travelling soon? 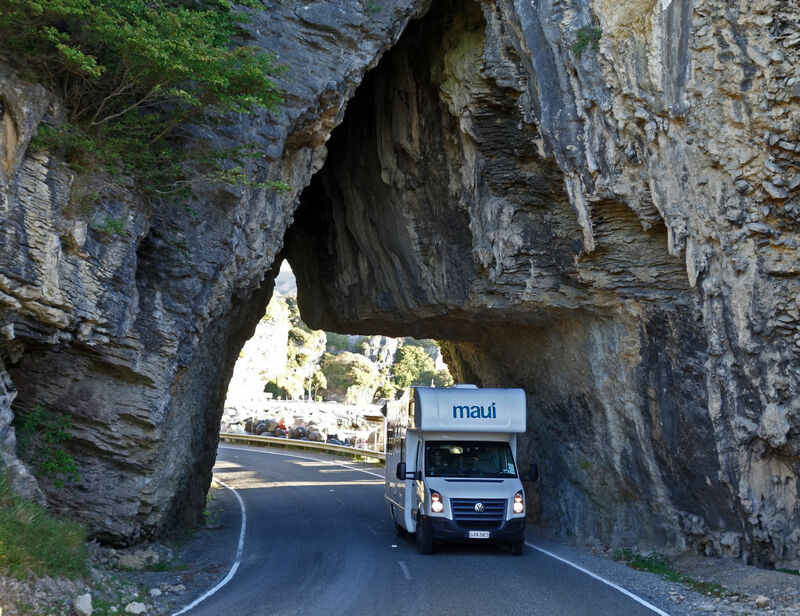 A maui motorhome is one of the best ways to travel around New Zealand. This video has essential information on driving in New Zealand to ensure you have a safe and enjoyable trip. It'll give you an overview of our road rules, tips for driving on New Zealand roads and road hazards to watch out for. You'll also find some great advice on where to go, where to buy food and places to stay. Find out more about what's different about driving in New Zealand. All our motorhome customers will be required to complete this checklist prior to leaving the branch on day of pick-up and driving the motorhome. If you have a foreign licence in a language other than English, please ensure it​ is current and appropriate for a full size motor vehicle (not restricted or learner) and you must also present an accredited English translation.​The translation must be provided by a NZ Transport Agency authorised translation service or a diplomatic representative at a high commission, embassy or consulate, or the authority that issued your overseas licence (an International Driving Permit may be acceptable as a translation if in English). We can arrange a translation for you at the branch but it will cost you NZ$58 and will create delays with your pick-up process. To find an authorised translation service click here​​​. Hiring a car or campervan for your New Zealand holiday? Familiarise yourself with our Road Code rules by taking the quiz below. The questions are designed to help tourists stay safe while travelling in New Zealand. Read traffic signals, stop signs and give way signs at various intersections. Know who has the right of way. Where your car should be on the road when driving: intersections, unlaned roads and more. Understand basic road code driving knowledge: following and passing rules, give way rules and more. ​​​Keep LEFT! We drive on the left-hand side of the road. Always wear your seat belt. Everyone in your vehicle must wear a seatbelt, and children must be secured in an approved child seat. Your rental vehicle company can rent child seats to you if you didn’t bring your own. Keep to the speed limit and always stop at STOP signs. Always slow down to observe recommended speeds around bends. Only overtake other vehicles when it’s safe to do so. Use passing lanes whenever possible, and never cross a solid yellow line on your side of the centre line. Stay well-rested. Plan to only drive 1-2 hours at a time, and take regular breaks during your journey to stretch your legs. Drive to the conditions. You’ll need to reduce your speed if it’s raining, icy or snowing, windy, or if you’re in a roadworks area. Ask your accommodation provider if in doubt. Use this Driving Time and Distance Calculator or GPS to estimate driving times while planning your journey. Driving in New Zealand can often take longer than expected due to our winding roads. Do not drink and drive. Driving under the influence of alcohol or drugs is a crime in New Zealand and strictly enforced by police, with severe penalties for offenders. Urban speed limit is 50km per hour. Please be aware there are specific speed limits in place around school zones during peak hours, please consult the New Zealand Road Code. The rural speed limit is 100km per hour but it is important to note that if you are travelling in a Beach or River motorhome, this speed limit is reduced to 90km per hour. Seatbelts & Child Restraints: please refer to the vehicle pages on this website for detailed baby and child seat requirements for the motorhome you will be travelling in. Drinking and driving: we urge you to drive responsibly and safely whilst on your holiday. If you drink, don’t drive. Be conscious of the motorhome's size: it needs more care when you turn or park it because of its extra length. Look out for dedicated campervan parking particularly that gives you extra room to manoeuvre. Make sure things such as awnings, exterior BBQs and the 240V power cable are stowed away safely. Always check that you have turned off the gas before you start your journey. Try to keep your driving to daylight hours so you are not travelling in unfamiliar territory in the dark! It will also be easier to get settled at the campground and allow you to enjoy some of the facilities. Secure all loose objects so they don’t move and become a driving hazard when you’re on the move. 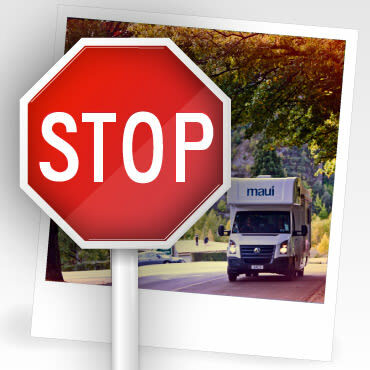 There are plenty of cupboards and drawers in your maui motorhome to store everything away. And of course if you feel you are getting tired, pull over and take a rest in your comfy beds! Sometimes in the South Island, and the centre of the North Island, roads may be closed due to snow and ice. This can happen right through winter and into early spring. The New Zealand AA can provide you with up-to-date information on conditions in these areas. Driving rules: For a comprehensive overiew of New Zealand road rules, please refer to the official New Zealand Road Code so you can familiarise yourself with traffic laws. New Zealand has one of the most unique road networks in the world. Rather than four lane super-highways, New Zealand has lush green countryside on each side of the highway, sealed roads nested in the side of steep mountains and clear views of a pea-green ocean as you meander along the coast. Remember, you are on holiday so relax, enjoy the slower pace! Take a break. If you’ve just gotten off a long-haul flight, picking up your motorhome that day is probably not the best idea. Spend the first night in a hotel, recover from your jet lag and then pick up the keys to your vehicle. 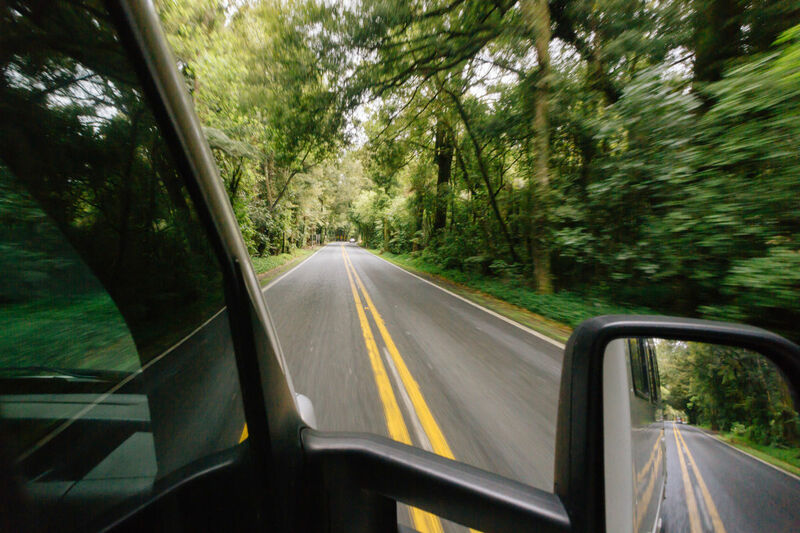 There’s no need to go rushing off, spend the first night in your motorhome somewhere close to where you picked it up so you can adjust to driving a different vehicle and get a good night’s rest before embarking on a bigger trip! Keep left! This is probably the most important thing you need to remember when travelling around New Zealand. Yes – we know, we drive on the wrong side of the road – but it’s really important you also remember to drive on this side while you are here. Buckle up and enjoy the ride. It is law in New Zealand for every person in a vehicle to wear a seat belt. This means you, the person next to you and the kids in the back. Before driving off, make sure everyone has clicked in! New Zealand roads are best seen at a slower pace, which is why highways are speed limited to 100km/hr for cars and 90km/hr for campervans, trailers and trucks. For those of you who operate in miles, this means in a campervan you are limited to 55mph, or in a car 62mph. Always stick to the speed limit. Keep your eyes out for signs indicating where the speed changes. New Zealand roads can be quite bendy, so it’s important for you, your passengers and others on the road to observe the speed limit. Etiquette: Pull over and let other traffic go. If you’re driving a campervan or motorhome during your New Zealand driving holiday and you have traffic backed up behind you, pull over as soon as you can safely do so to let other vehicles pass. New Zealanders are a friendly bunch, they’ll give you a smile and a wave as they go around you – if they can see you are doing the right thing. You’re on vacation, so don’t stick to a strict schedule of driving. Take your time, take lots of breaks to stretch your legs and don’t drive tired. Ensure you are getting a good night’s sleep each night and, if you can, share the driving with others in the motorhome. Always allow enough time each day to get to your destination. We recommend 2-3hrs of driving time maximum each day, to give yourself lots of time to explore along the way! New Zealand road rules clearly state “Don’t drink and drive” and “Don’t drive and use your mobile phone”. Do a quick brush up on New Zealand road rules before you arrive. Don't be surprised if you are the only vehicle on the road. The south Island isn't as busy as many countries around the world, so you often get to enjoy the roads on your own. Even better, it means when you pull over to check out the view you aren’t contending with hundreds of others! New Zealand is a country filled with diversity. Our weather is no different. In winter it is often rainy or snowing, so always drive to the conditions and be careful of black ice. In summer we have long sunny days, so make sure you pack your sunglasses to balance out the glare from the road. You will be responsible for paying any toll fees that you incur when driving these routes. NZTA: The New Zealand Transport Agency website is a great place to start when researching New Zealand roads. It outlines road closures, delays, and other important information for travelling around New Zealand. DriveSafe: Road rule refresher and itinerary suggestions translated in four languages (English, French, German and Mandarin). Driving tests: Test your driving knowledge on this tourist driving test. CamperMate: Take the stress out of travelling by using CamperMate, the free New Zealand Travel app that shows you nearby locations of everything you’ll need when travelling in a campervan, including petrol stations and dump stations.